The availability of quick and high quality workplace communication tools is helping to make remote working options more and more popular. In fact, some companies, like Zapier, are made up entirely of remote teams. It’s not just technology that is ushering in this new flexible workplace era. A study by the Society for Human Resource Management found that 91% of HR professionals agreed that flexible working options lead to higher engagement, job satisfaction and retention. In fact, a survey by Flexjobs revealed that 82% of millennials considered work flexibility as one of the top factors they consider when evaluating a job prospect, making it the number two factor (above salary and benefits). Here at Impraise we’ve been long time believers in remote working. On a regular basis people have the flexibility to decide when they prefer to work outside of the office. Additionally, with over 20 nationalities, we offer our people the option to work from their home country for 4 weeks out of the year. 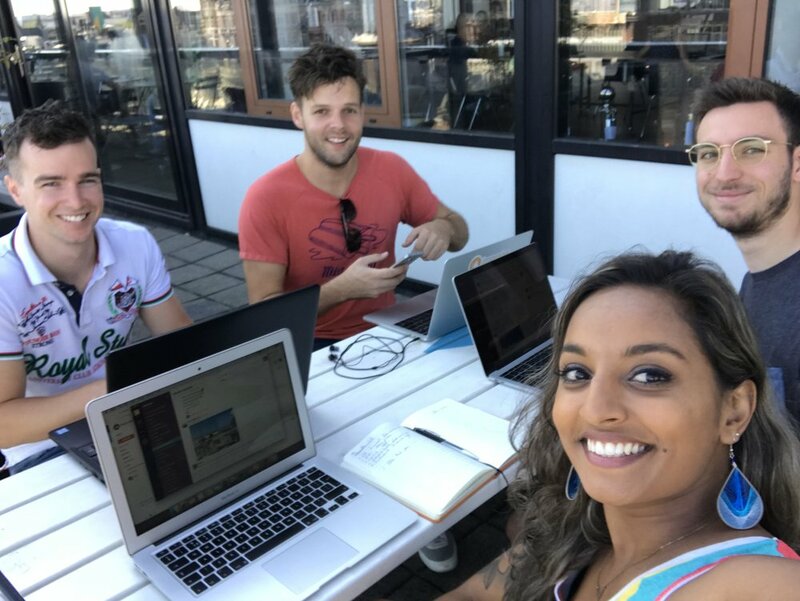 To show our support for the movement towards flexible work, on Friday August 3rd we joined our awesome client Bynder in Global Work Remote day 2018. It was the first time we went COMPLETELY remote across our New York, Amsterdam and Lisbon offices. 1. Where did you spend remote day? Everyone found their own productivity oasis. Whether it was a cosy corner at home or a rooftop cafe. One guy even spent the day at his mom’s house (nothing beats being spoiled when working). While the majority of our people spent remote day at home, we also had a group who took their laptops to the beach for a day of productivity and sun. 2. Did you meet up with any colleagues in person? Surprisingly, we saw quite a mixture, with many people choosing to spend part of their day alone, and another part meeting up with colleagues. Sometimes having the opportunity to combine stimulating open brainstorms or dialogues with deep reflection can do wonders for your creativity. 3. Did you feel you were able to concentrate better than when you’re in the office? An exact 50% of people were able to concentrate better when working remote! 4. Did you get more work done? Interestingly, we found that, despite being able to concentrate better, the majority of people got about the same amount of work done as they do in the office. 5. Do you want to work remote again in the future? Impraisers enjoyed the remote working experience so much that a whopping 86% responded that they wanted to work remote again. 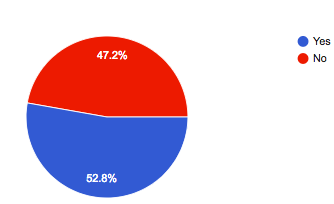 Another 13.9% responded with a maybe. No one wanted to axe remote working completely. At the end of the day we all got together to have a completely remote All Hands meeting. This survey revealed a really interesting split amongst Impraisers on remote working. Some spent the day alone, some spent it working with their team outside the office and many split their day between meet ups with colleagues and solo deep concentration time. What this showed us is that there is really no specific formula for the best remote and office work balance. Everyone has different preferences based on their personality, role, and even based on the specific tasks they need to complete on a particular day. The best option is to give people the freedom to decide where and how they get their best work done. If you're interested in learning more about Impraise check out our careers page!